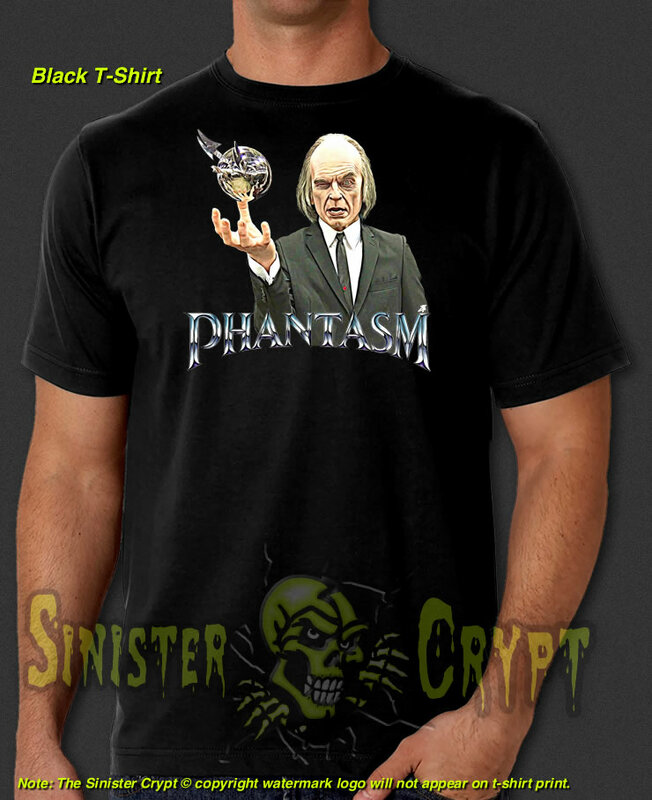 Phantasm Tall Man t-shirt. Phantasm is a 1979 cult horror film and features the floating sphere of death, known as Sentinel Spheres. Many of our t-shirt designs have been copied on ebay, however we are the originator of this art design. Art by Kent Salas. Makes a great gift for a horror fan!